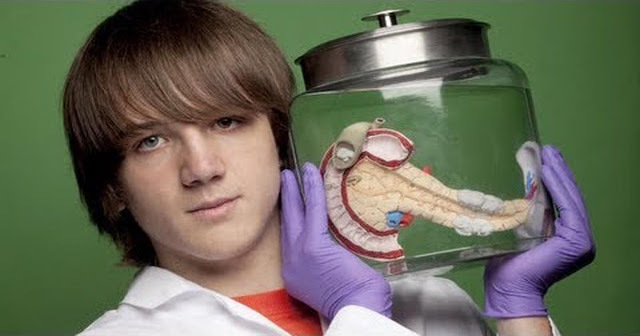 A 15- year old teenager from Crownsville, Maryland, called Jack Andraka, is the Teen Prodigy of Pancreatic Cancer who invented a new method to detect a lethal cancer. Namely, this teenager started to work on this issue after the death of a close friend of his, caused by pancreatic cancer. As a result of this tragedy, Jack’s resolution was to be more proactive rather than just accepting the situation without trying to change it. Unfortunately, pancreatic cancer is the fourth leading cause of cancer-related deaths (34, 000 taken lives so far) due to its late detection. Moreover, the popular tests are 60 years old and expensive ($ 800) testing methods which miss 30% of all pancreatic cancers. Jack focused on the fact that the main problem was a lack of early detection tests, so he came up with a test that is capable of detecting cancer in its earliest stage. Jack’s test a 100 % accurate cancer test that costs 3 cents and takes only 5 minutes using Google and Wikipedia-the two most used online resources, available almost to everyone who has an internet connection. Additionally, the test invented by this remarkable young boy is 168 times faster, 26,000 times cheaper and 400 times more sensitive than the current standard of detection. The discovery by the young boy can be of great importance in cancer treatments, and it undoubtedly put cancer industry to shame.